Preheat oven 180°C. Lightly grease a 12-hole, non-stick muffin pan. 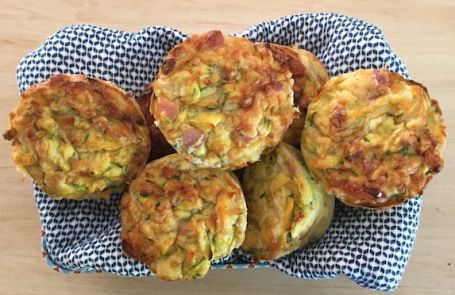 Combine zucchini, carrot, onion, and bacon with cheese, flour and eggs in a large bowl. Fill muffin cups to top and press down lightly using your fingers.